Fashion In The Forest: Zoobies - More Than Just A Toy! Zoobies - More Than Just A Toy! Since Christmas shopping is in full swing, I know a lot of you out there are looking for fun, new toys to get your loved ones. I wanted to share with you one of the toys I bought for my niece for Christmas - it's a Zoobies Blanket Pet! What is a Zoobies Blanket Pet, you ask? It's a toy, pillow and fleece blanket all in one! 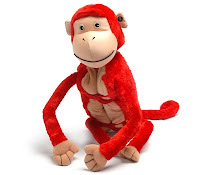 I ordered my niece a Mashaka the Monkey. 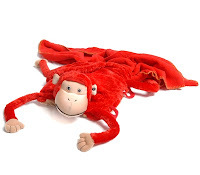 "Swinging his way from the jungles of Africa, this rambunctious, award-winning ape (chosen specifically by Toy Directory for the very prestigious Top Toy Award 2007) is sure to hang around your child and become his/her best friend. 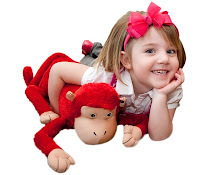 Not only is Mashaka™ an adorable monkey, but also a comfy pillow and super-soft blanket all in one. Perfect for road excursions or just cuddling in bed." L: 34.3" x W: 6.3" x H: 15.8"
Safely tested for all ages. The amazing people at Zoobies are going to give one lucky Fashion In The Forest reader their very own Zoobies Blanket Pet (view all the choices here!) from the regular blanket pet line! All you have to do to enter to win is come back on November 14th and fill out the simple Rafflecopter form below! *Zoobies donated a pet for me to review. All opinions are my own and no monetary compensation was given.